The peaches are here. They are plump and juicy and huge. But they all ripen within the hour of each other. I’m sure if they were in the frig this wouldn’t happen but then I couldn’t enjoy looking at them and that is half the pleasure. I remember my first fresh peach. I was riding in the back seat of my parents car, in the seat behind my mom. Our family had been at our friend’s house, the kids climbing trees, and catching caterpillars in their mimosa tree… making mimosa flowers out of the leaves to throw in the face of each other. We were in south Mississippi. They had a peach tree and shared with us and mom was eating one. I could see her from the back seat, the windows rolled down and juice running down her chin, taking a bite and holding the peach out the window. She passed one back to me. I wanted it peeled and she said eat the peeling. I didn’t like the way the fuzz felt but the inside was so good. I would bite off a piece and turn it around and eat the inside, leaving the peeling as best I could. Although it was never said, I’m sure I was a big huge sticky mess choosing to eat my peach this way. Sweet memories. 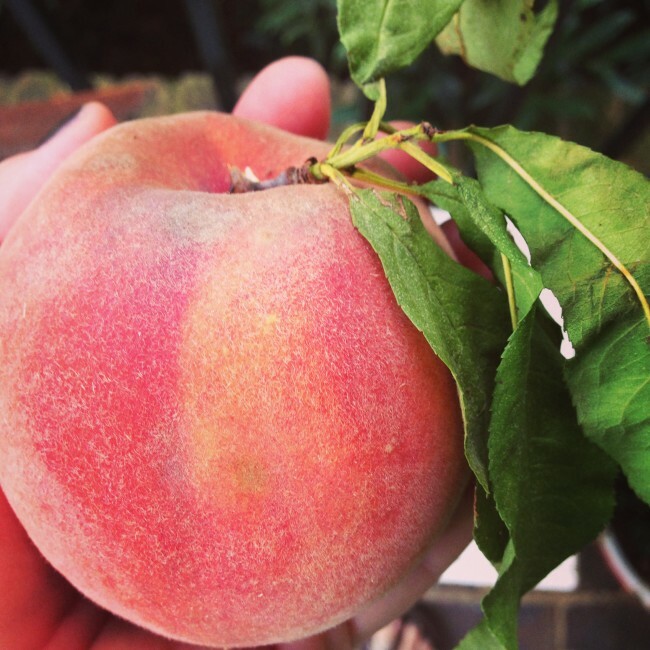 I love all kinds of fruit but in season homegrown or in a local orchard is just hard to beat. I get a basket or two every year and they do ripen so fast that I look for recipes to use them up. 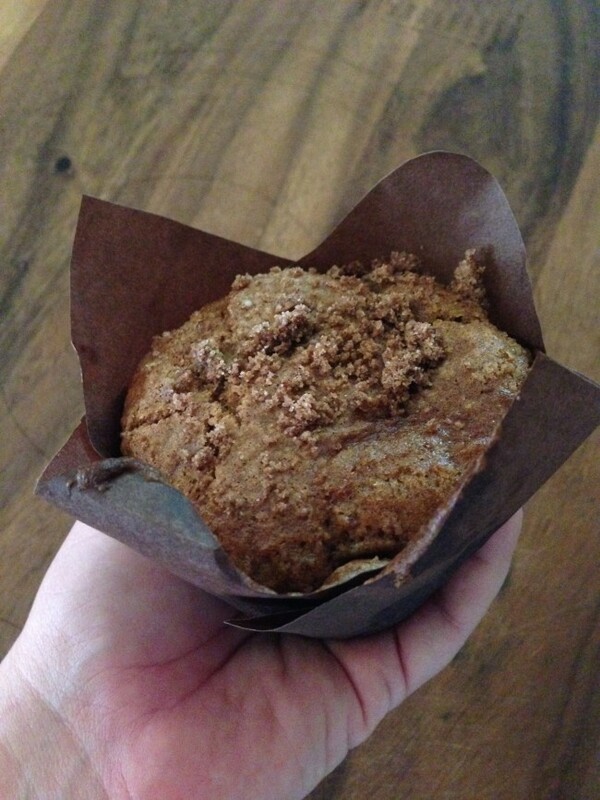 A few years back I found and tweaked a peach muffin recipe. Sharing it with you today. It’s delicious. This year I made it using King Arthur Gluten Free flour and they are still awesome. I like to bake them with baking papers because you can make them extra tall! They carry these papers at Target now. Mix dry ingredients and wet ingredients separately then stir the two together adding the peaches last by folding them in. Pour into muffin cups. I sprinkle coarse sugar or mix some brown sugar, flour and butter together until crumbly and top it with that. Just an extra special goodness to the top. Makes 12 of the tall paper muffins or about 16 regular muffins. 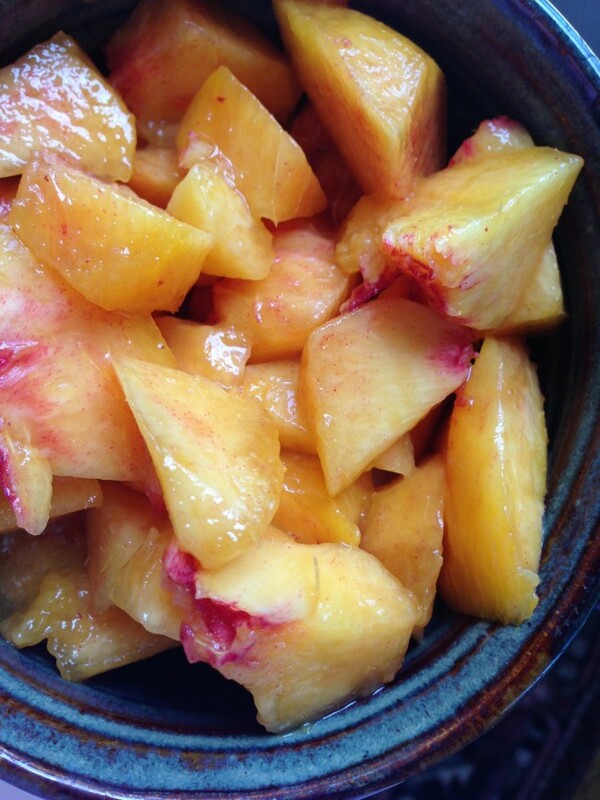 This entry was posted in recipes and tagged cooking, peaches, recipe by Katey. Bookmark the permalink. I thought you were at the 100 mile garage sale with your dad. Leaving in a few minutes!! Wish us luck!